Ashford Fish Shop - a Memory of Ashford. 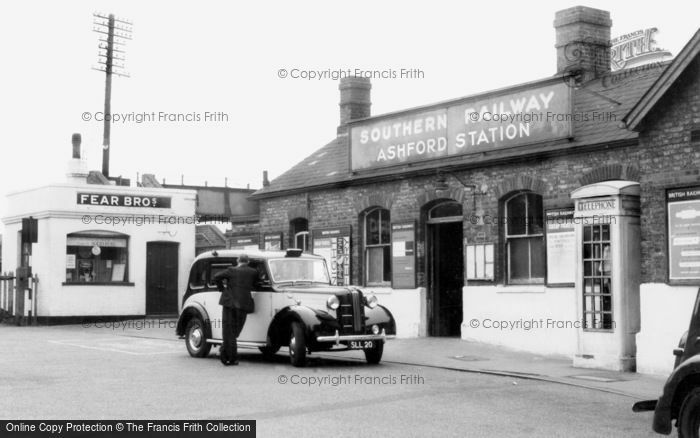 In about 1949 my family brought the fried fish shop at number 3 Station Approach, Ashford, Middlesex. I was about three years old at the time and my earliest memory is of driving my pedal car between the tables and chairs in the shop. My father had a secure job in the office with London Transport at Chiswick, so did not give it up. My mother ran the shop during the day and dad took over in the evenings. They must have done a good job because business thrived and they sold the shop a year later making a nice profit. A memory shared by Barry Hawgood on Jan 2nd, 2009. Send Barry Hawgood a message.